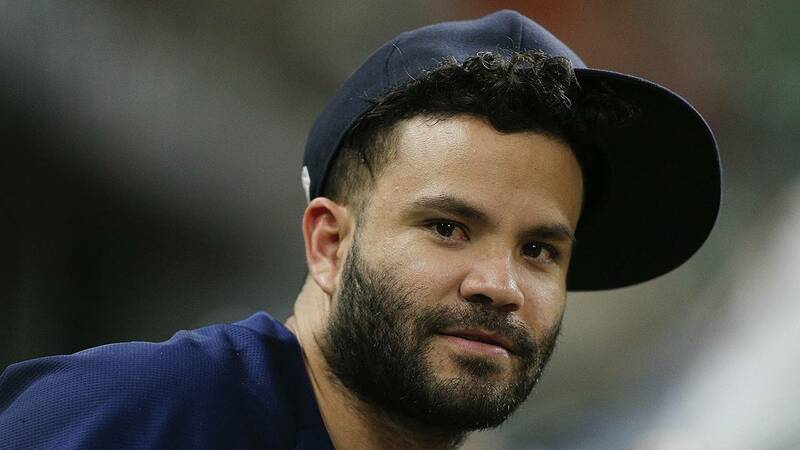 Jose Altuve #27 of the Houston Astros looks on from the bench at Minute Maid Park on August 9, 2018 in Houston, Texas. HOUSTON - All-Star second baseman Jose Altuve is set to come off the disabled list and rejoin the Astros. Houston wobbled minus the reigning AL MVP, whose knee trouble put him on the DL for the first time in his career. The World Series champs lost 13 of the next 20 games after Altuve was sidelined July 25. He has led the AL in hits for four straight years and is batting .329 this season. Altuve is expected to be in the lineup at Seattle on Tuesday night.